Growing up with an antique-dealer father, Toronto-based textile designer Libs Elliott learned to appreciate the beauty of the traditional from a young age. 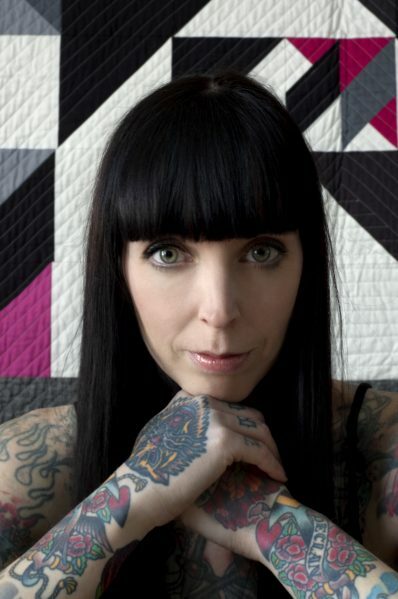 Today, she specializes in quilt making, turning time-treasured heirlooms into modern-day crafts. After studying photography and woven textiles at the Ontario College of Art and Design, Elliott began working as a project manager in the advertisement industry. “I was managing teams, so I didn’t have a real outlet for my own creativity,” she says. “Eventually, I decided to take up a hobby to get out my ideas.” Elliott signed up for a quilting class at Toronto’s newly opened Workroom and was instantly hooked. “I’ve been quilting full-time for four years now,” she says. Exploring the intersection of technology and tradition in her work, Elliott has spearheaded an inventive and entirely unique approach to the quilting practice. Speaking with Canadian Interiors magazine, Elliott described her inspiration and approach, and honed in on why it’s important to keep this long-established art form alive. Canadian Interiors: Your quilting process is so unique and unlike the traditional approach. What inspired it? Libs Elliott: Because I worked in the advertising industry, I had the opportunity to meet a lot of technical people. One of them was designer and technologist Joshua Davis, who was a pioneer of using digital tools to create really beautiful artworks. When he saw some of the quilts that I was making manually at the time, we decided to collaborate. He wrote a piece of code for me that would create these random compositions. From those patterns, I could make physical quilts. CI: Can you describe your process? 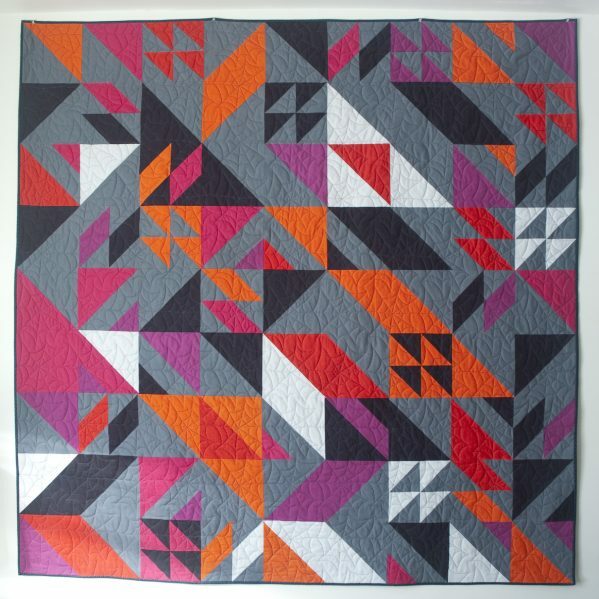 How are these quilts realized? LE: The process starts off very technical and digital. I use a programming language called Processing, where I insert a code into the computer and a random geometric pattern is generated on the screen. You can control the patterns to a degree based on which shapes and colours you want, but it’s mostly random. You never know what you’re going to get. Once the pattern comes out, I open it in Illustrator and manipulate it further. Then, after I’ve chosen the pattern that I want to focus on, the process slows down a lot. I do the math, figure out how much fabric I need, how I’m going to cut the shapes, and how I will piece them all together. The quilt itself is three layers. You have a front with the pattern, a back that I keep solid, and a centre that’s usually filled with cotton or bamboo, depending on the desire for weight and thickness. I sandwich these all together, using a thousand safety pins to stop the layers from shifting. The quilt is then stitched together using a domestic machine or by sending it out to someone else. CI: Even though the pattern is randomly generated, you can control the colours and shapes. Where do you find your inspiration for these? LE: My inspiration comes from all over. The quilts are mostly urban-inspired as opposed to rural, because I live in Toronto and spend a lot of time in New York. I usually pull the colours from photographs that I’ve taken in these cities or things that I’ve seen online. CI: The themes of technology and tradition seem to intertwine in your work. How do these themes come into play, and what do they mean to you? How are they represented in your work? LE: Because I grew up around a lot of antiques, I have an appreciation for old things, including traditional crafts — but I’ve also always loved modern and minimalist aesthetics. The approach to quilting was a great way to bridge the gap for me — to combine my love of these two worlds. Studying photography in university, I always liked the idea of taking a snapshot and capturing a moment in time that will never be repeated. This plays out in my work. When I’m generating these digital compositions, they’re different every single time. And just like a photograph, I’m using a digital piece to create something physical that will last. CI: You’ve often done workshops and lectures in the past. What do you usually speak about at these events, and why is it important for you to interact with the community in this way? LE: When I do workshops and lectures, I’ll usually do a little demo of the code that I’m using, and demonstrate the process from beginning to end. I’ll also feature some of the quilts that I’ve made in the last few years. Initially, I was speaking to technical groups, but now I speak to quilting groups. 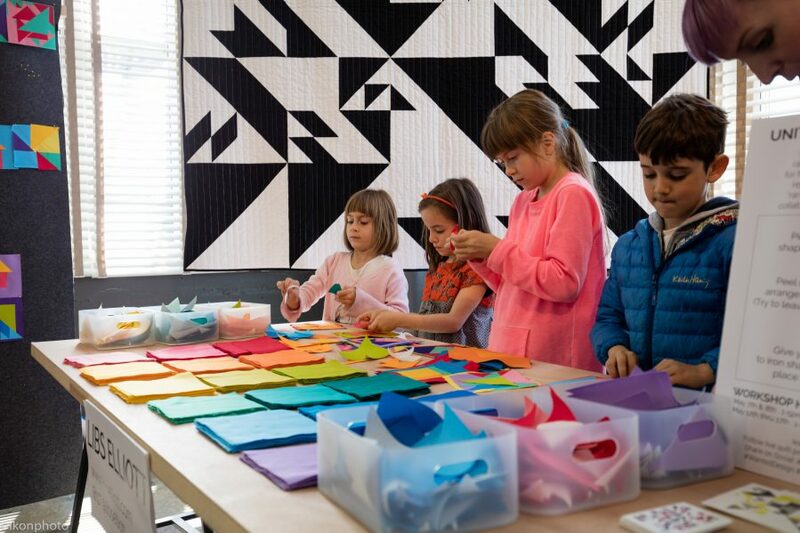 They’re really fascinated by the technical aspects, whereas the tech groups were interested in the quilting aspects. It’s fun to interact with these different communities. CI: What can we expect to see from you at the Toronto Offsite Design Festival? 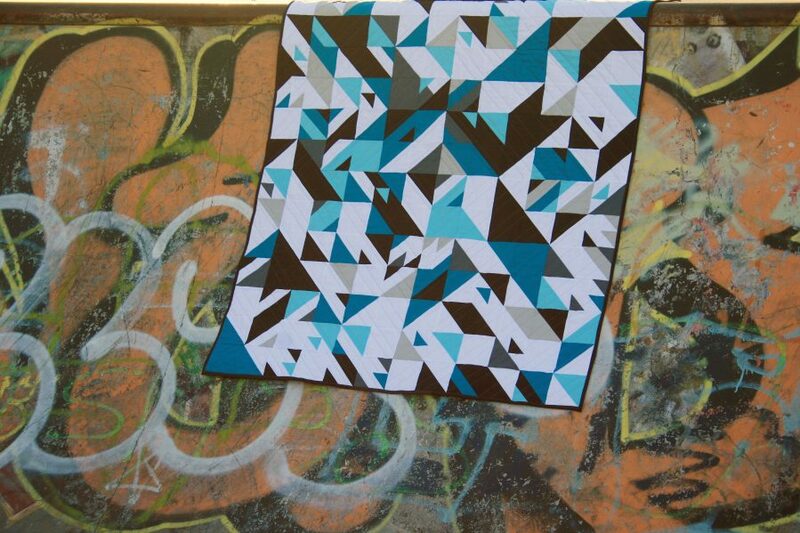 LE: At the Toronto Offsite Design Festival, I’ll be showing smaller, lap-sized quilt about 5 feet squared. They’re a little more minimal and simplified than what I’ve done in the past, as I haven’t pieced parts together, but have instead used a solid front and back. The stitching part is where the actual motif appears. These little quilts can fold up and slide into a quilted cushion cover in case users don’t want them sitting around on the sofa. CI: What’s next for you? LE: In addition to my commissioned pieces, I write patterns that I sell to quilters. It’s a beautiful thing to see people using my patterns and putting their own spin on it, depending on what fabric and colours they choose. I also have a line of fabric with a company called Andover Fabrics, and I have a second collection coming out in the spring. I’ve got a couple of exhibits planned, but for now, I’m still just in love with the art of quilting itself. CI: What do you hope that people will take away from your work? LE: I like when my quilts get people thinking about the history of the craft. The tradition of quilting and the meaning of making something by hand, as opposed to buying something in a shop that’s been mass produced. 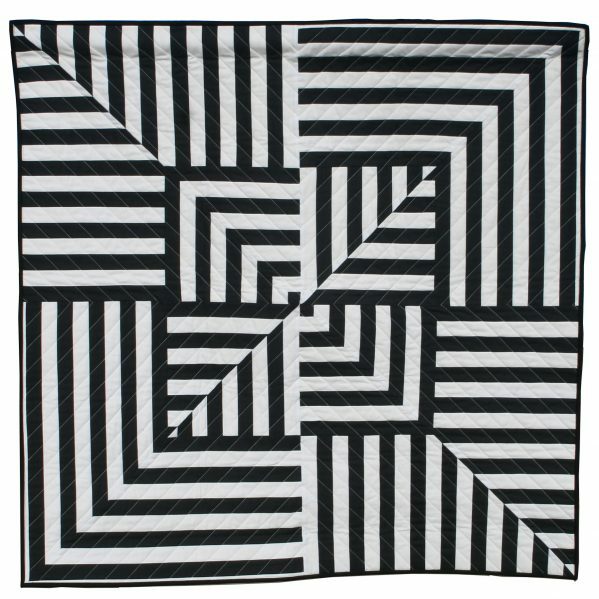 Quilting isn’t an old craft that’s long gone —it’s alive and well, and I like for people to see it in a new light. Often people will say to me, “I have a quilt that my grandmother made,” and that’s a wonderful thing. It holds meaning, and it’s an object that will be passed on to the next generation. Sometimes it’s hard for me to send off quilts that have been commissioned, but at the same time, I like the idea that I don’t know where it’s going to end up. I’ve put my energy and love into it, and now it’s gone off to have its own story. Shannon Moore is Assistant Editor of Canadian Interiors, Canadian Architect and Building magazine.